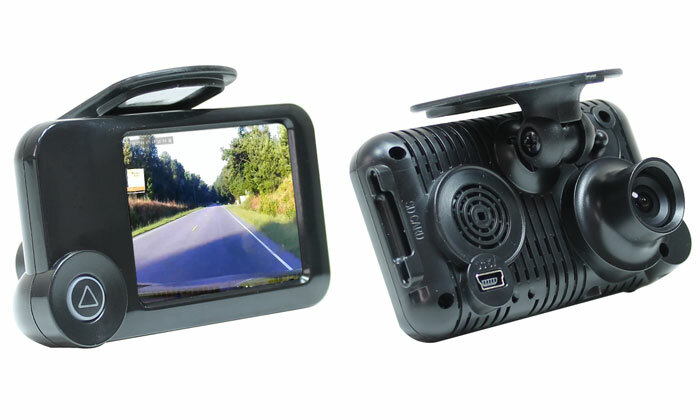 At Rostra we are pleased to introduce the most extensible camera interface and mobile phone screen sharing device on the market for General Motors vehicles equipped with factory-installed 7” LCD screens. 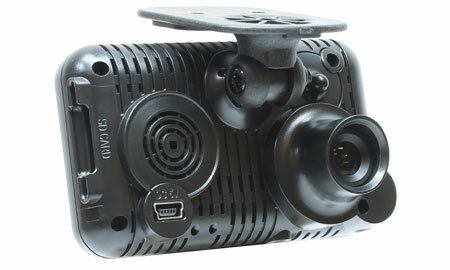 Available for immediate shipping, this all-new video interface, part number 250-8454, allows for the installation of multiple cameras around the vehicle providing unparalleled safety through added driver awareness. 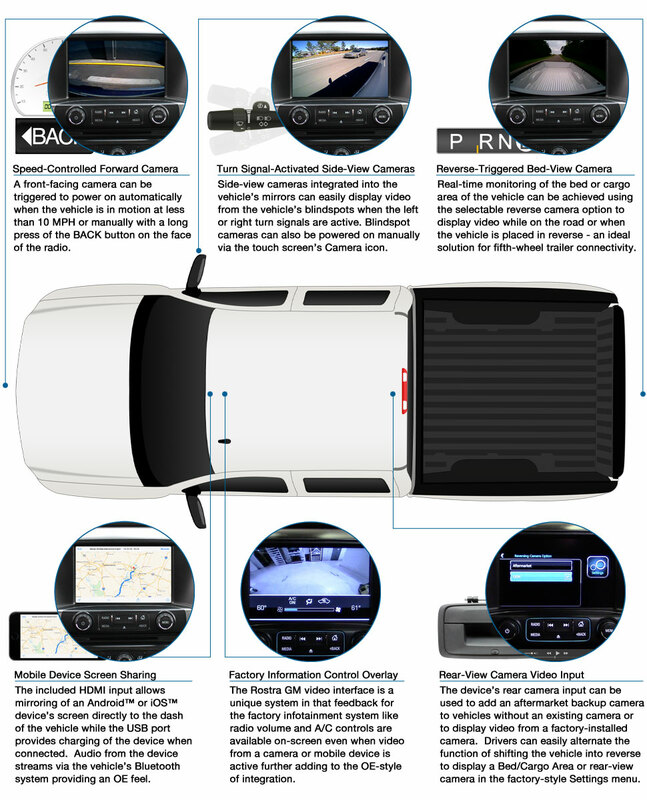 Covering a wide variety of the most popular GM trucks and cars including the Chevrolet Silverado and Colorado, as well as the GMC Sierra and Canyon, camera options include rearview, sideview/blindspot, forward-facing, cargo/trailer and any other camera mounting location that you choose! 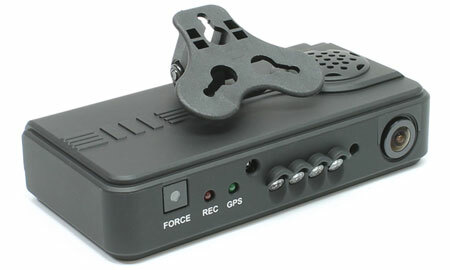 As well, drivers can connect their mobile phone to the included HDMI input and instantly share their phone’s screen to the dashboard of their vehicle. 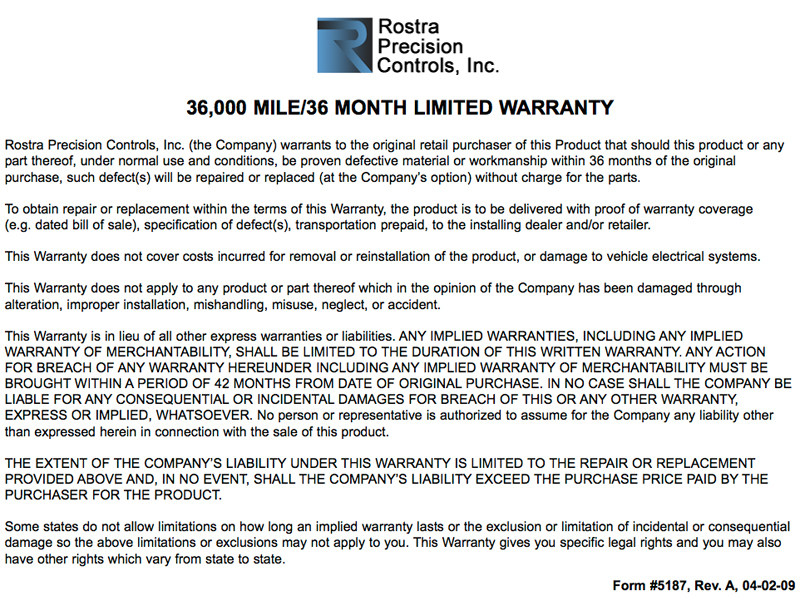 NOTE: Requires vehicle be equipped with RPO IOB.